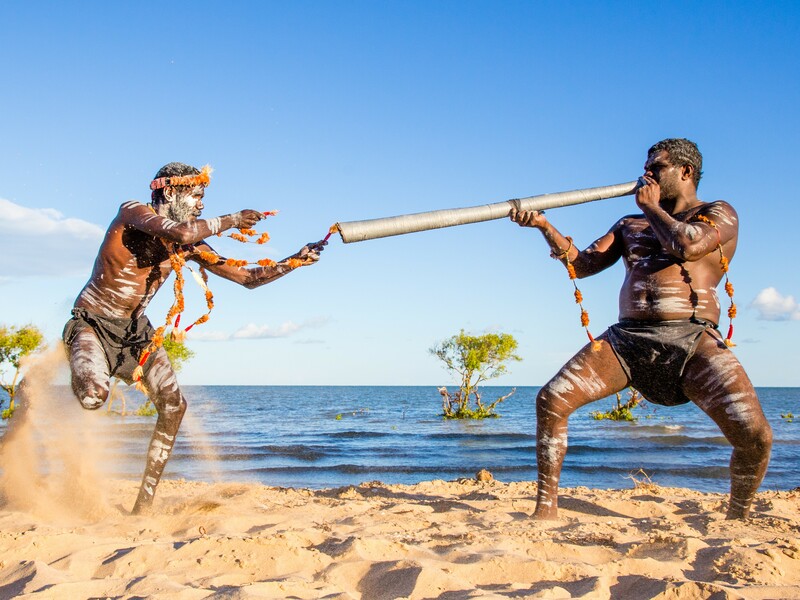 Mambali, a nine-piece band from Numbulwar, Northern Territory, fuse their traditional heritage songs contemporary sounds to create a vibrant and impressive spectacle of talent. Their traditional songs are about country, culture and the Dhumbul Dance (Devil Dance) performed with edge, energy and a whole lot of love. That mainstream level is none other than WOMAdelaide in March, where for the first time Mambali will perform on a more mainstream stage. This will be only the second time Mambali have left Northern Territory. Excitedly, Bara says, “A few of the boys, going to Meredith, it was the first time jumping on the big plane.” The dedication is real. The ultimately hope Mambali have in what people will take away from their performances all comes down to understanding, Bara says. “Understanding two cultures. In our belief, our culture, two cultures need to become one. “White, black, need to become one. That’s why we share our music in a modern way, our traditional songs made modern. We want everyone to understand each culture and to live as one community. WOMADelaide 2019 will be held from 8 – 11 March in Botanic Park, Adelaide, South Australia. For more information and tickets visit www.womadelaide.com.au.